Buriram United vs Jeju United AFC Champions League previewCan Jeju get over the disappointment of their opening game defeat with a win against Thai side Buriram United? Jeju United started the 2018 season and their AFC Champions League campaign with a loss to Cerezo Osaka last week. However, their second game, this time against Thai side Buriram United, is coming up on Wednesday (Feb. 21). Can they put the opening game loss behind them and get the season kicked off properly with a win? Let’s find out! We did an in-depth overview of Jeju’s 2017 season and preseason in the preview for the first game, so check that out if you want to see a bit more about where Jeju currently stand. Has anything changed since then? Well, not really. The game against Cerezo Osaka has given us a bit of info about how the manager Cho Sung-hwan sees his team lining up. As expected he went for a 3-5-2 formation. Perhaps the biggest surprise was that new signing Thiago went straight in as one of the two center forwards, being chosen ahead of Jin Sung-wook and other new signing Roberson. In terms of gameplay, while Jeju only conceded in the final minute of injury time, they didn’t create much in this game and they will hope to have a better synergy in attack this time out against Buriram United. How are Buriram United looking? Buriram themselves have had a pretty successful 2018. Their season actually started a little earlier than Jeju and by the time the two sides play each on Wednesday Buriram will have played three games. Two of these have come in the league, both of which Buriram won. However, perhaps the standout result was their AFC Champions League away game against Guangzhou Evergrande which ended in a 1-1 draw. The last time Buriram reached the AFC Champions League Group stage they lost all but one of their games so getting this year’s campaign off to a start with a drew against one of the top teams in Asia is no doubt a great result for Buriram. 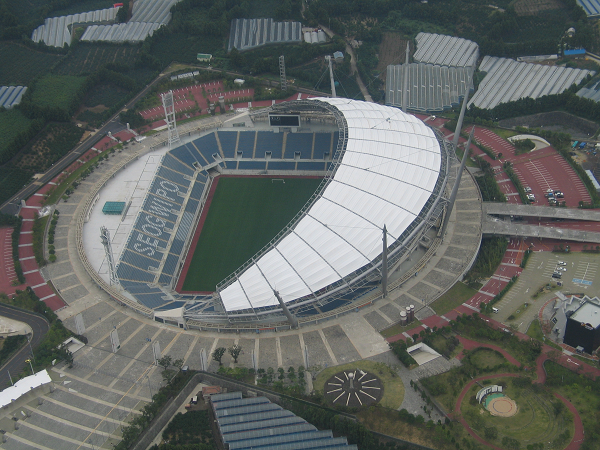 Of course, after their loss in the first game, it is really important that Jeju United get a win in this week’s game. However, it won’t be easy. As well as the long journey traveling not only to Bangkok but then on to Buriram, Jeju will have to deal with the hot Thai climate. A climate that will be a far stretch from the cold Jeju winter. However, there is some hope that it won’t be too much of a shock to the system as Jeju did spend some time during the preseason in a training camp in Thailand. Despite their loss in the first game and also the fact that they are playing in Thailand, Jeju will still be slight favorites going into this game. Hopefully, they can get the win they need to help in their goal of following last season and making it out of the group stages.